The manual says my car will do 0 -100(kph) in 4.09. My freind has a zr1 vette that claims 0-_60 (mph) in 3.4 seconds. I beat him 10 times out of 10. Claims are just that, claims. AWD adds a dimension to the car that rwd can't measure up to. What car is this supposed to be? 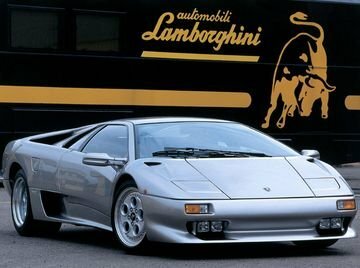 going by the spec is the 1990 Diablo no? if that\'s the case then both year of introduction and picture are wrong, also weight distribution is 41/59 and curbweight is 1671kg. 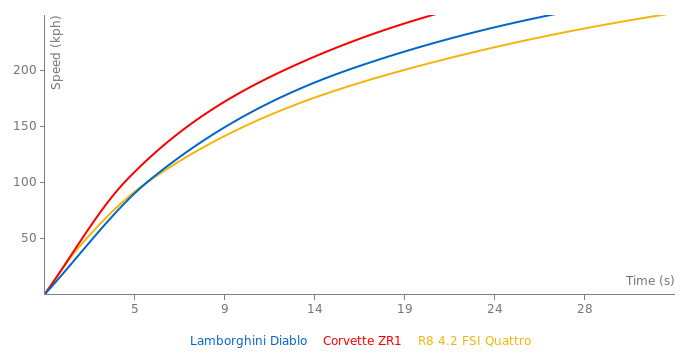 The 5.7 Diablo does 0-60 in low 4seconds, Lamborghini themselves claimed 3.8 and 3.9. It is not just Diablo. It is a Roadster! I am not assured that the car represented in this photo has the engine in volume of 5,7 litres. 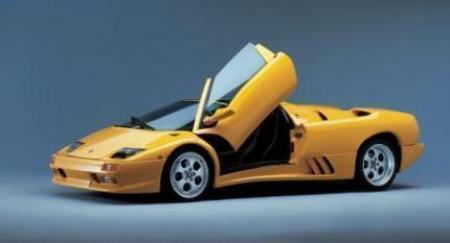 The first versions of Diablo (with 5.7 L engines) from 0 to 100 km/h were dispersed for 4,1 seconds. The Diablo 5.7 won't go 0-100 km/h in 3.8 seconds.